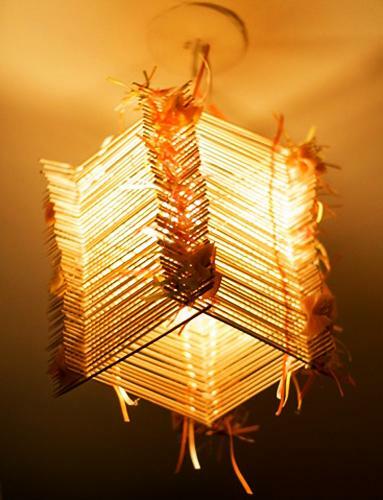 Handmade lighting fixtures come in various designs revealing extraordinary ways of recycling for unique home furnishings. 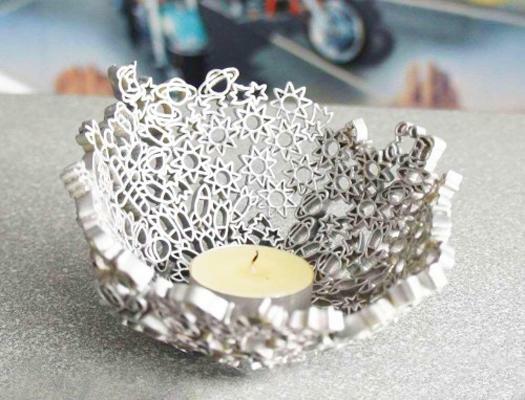 Perforated metal items, crochet designs, wicker baskets are excellent materials for creative recycled crafts. 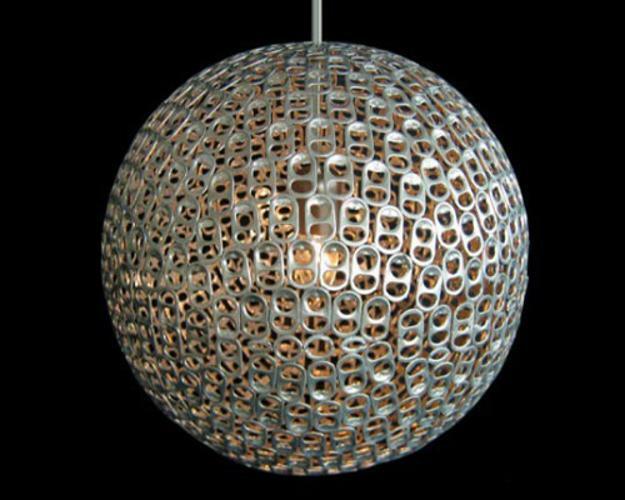 Beautiful lighting fixtures made with old disks, tin cans, colanders, and graters look spectacular and puzzling. 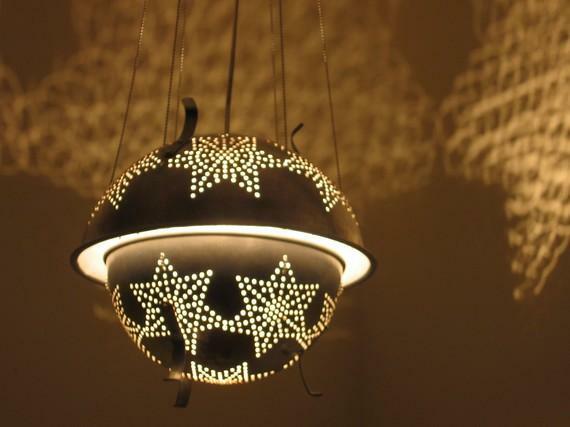 Holes produce a fantastic play of light and shadows, adding a mysterious charm to DIY designs. 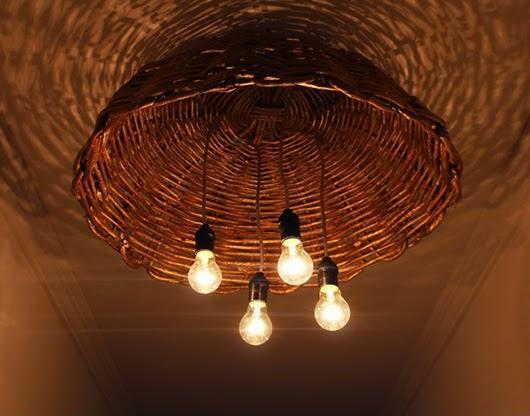 Homemade lighting fixtures are smart ideas for anyone who want something different, stylish, and bright. 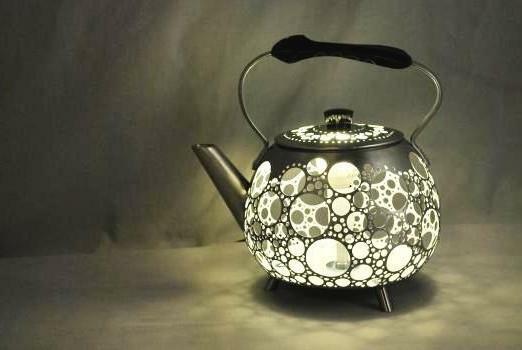 Clever recycling ideas turn ordinary kitchen items into beautiful lamps. 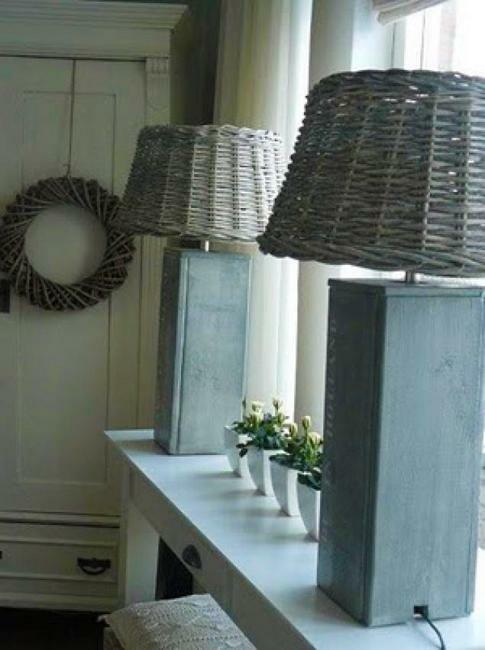 Knitting and crochet make perfect lamp shades in eco style. 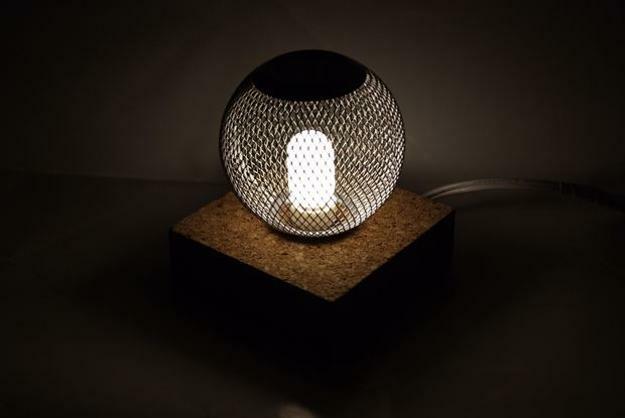 Even noodles work well for perforated lighting design. 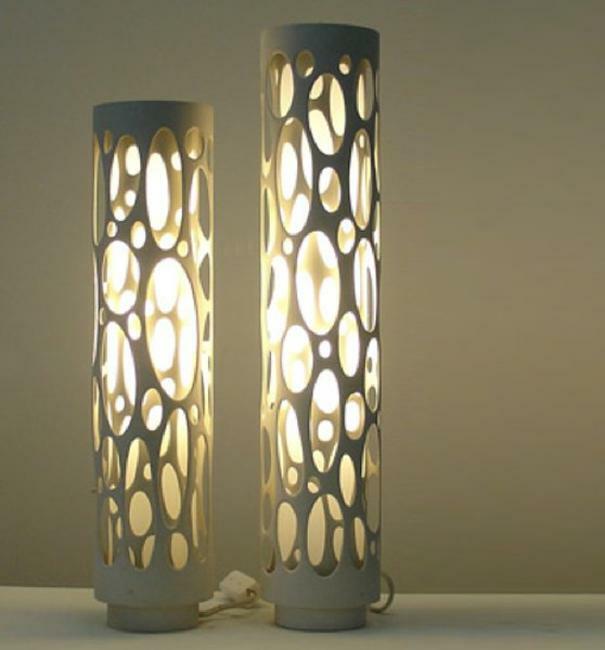 Holes, combined with the functionality of the minimalist design, create remarkable light fixtures. 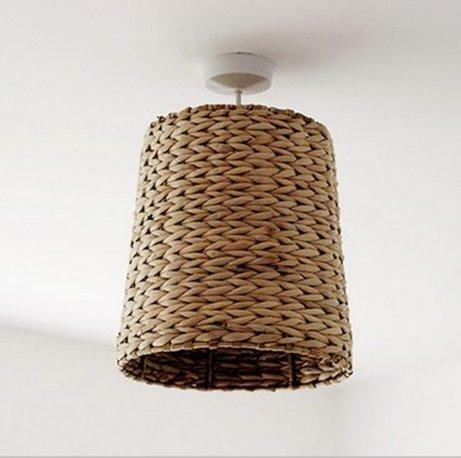 Metal, wood, yard, and wicker enrich simple interior design. 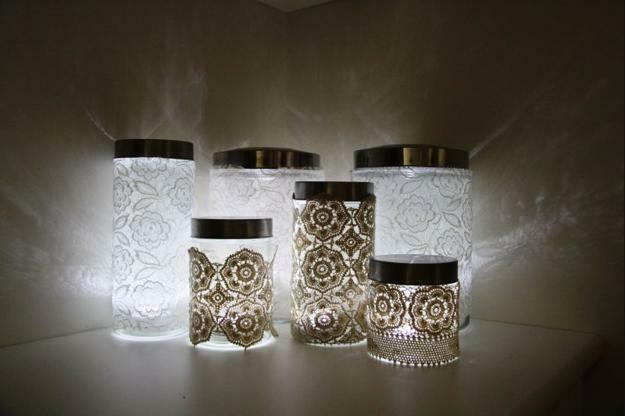 Colorful accents and light transform rooms at night creating beautiful interiors in cottages and homes. A hole is a great design idea. Holes look playful and make people smile. 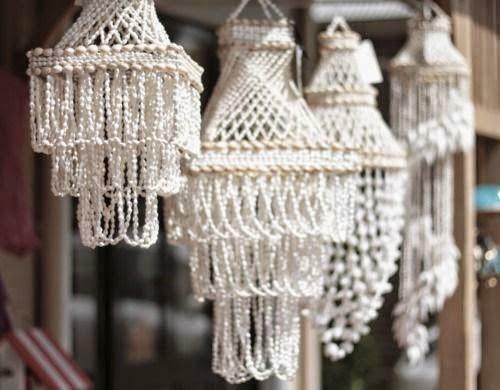 Peculiar designs capture and amaze. 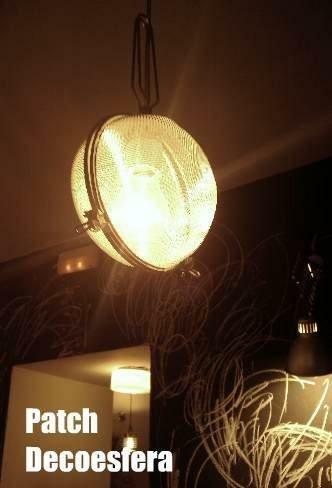 There is supernatural grace in lamp shades with holes. 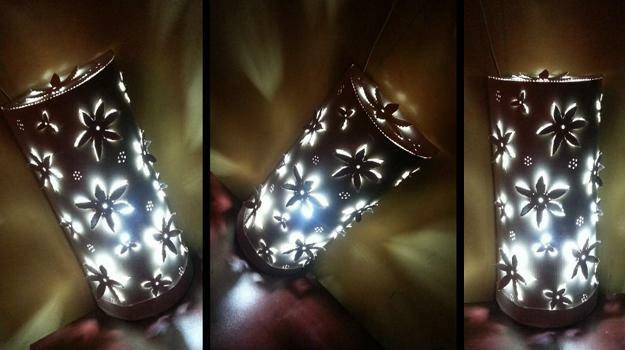 The glowing in the dark lighting design creates gorgeous, eye-catching accents. 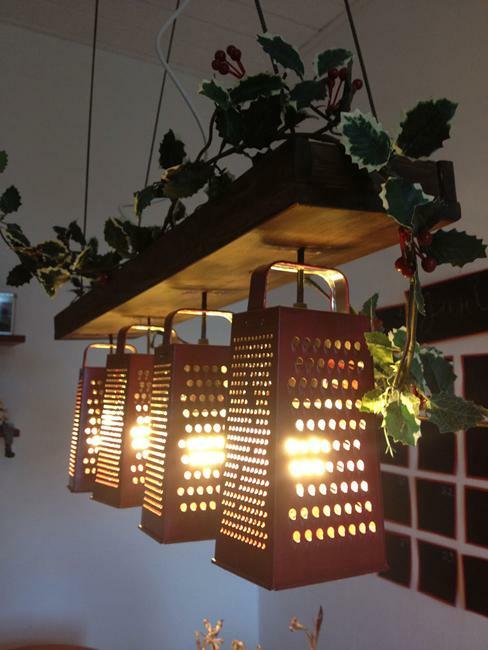 Small details designed with holes are a perfect solution for creating something unusual and unique. 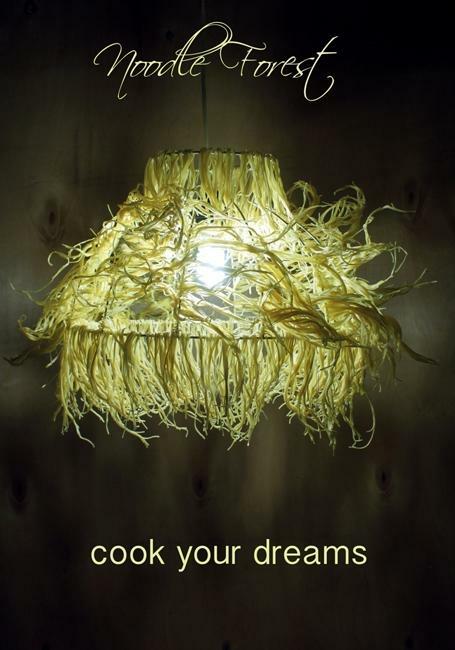 Recycling kitchen accessories, knitting lamp shades or building lights with noodles produce fantastic results. 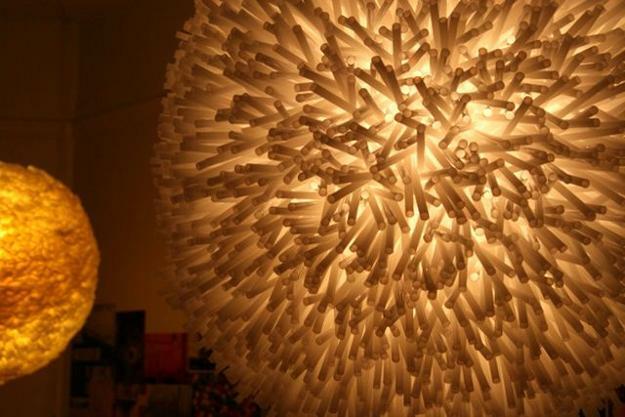 The recycled crafts transform and refresh the spaces. 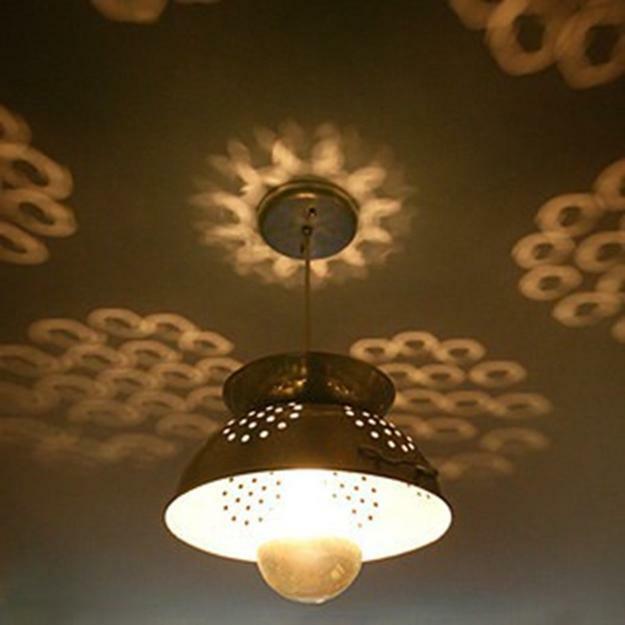 Intricate hole patterns and light rejuvenate rooms while highlighting the creative decorating style. 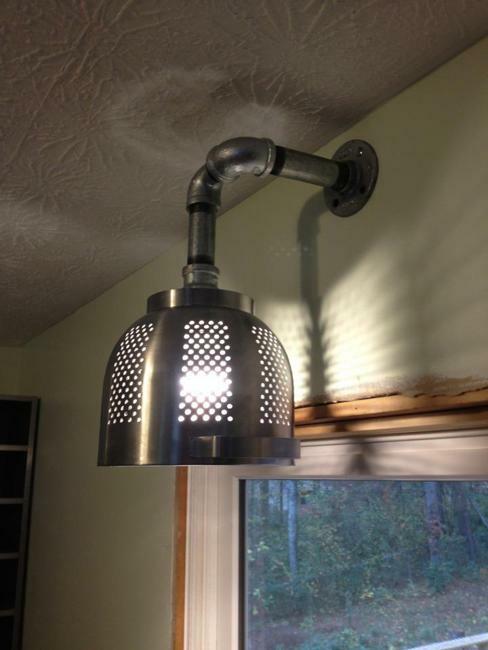 Unusual and bright, DIY lamp shades with holes add a unique look to ceilings. 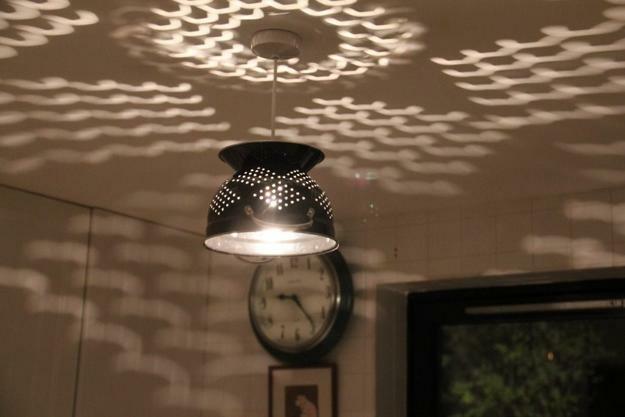 Holes create fantastic shadow patterns and give a futuristic vibe to the living spaces. 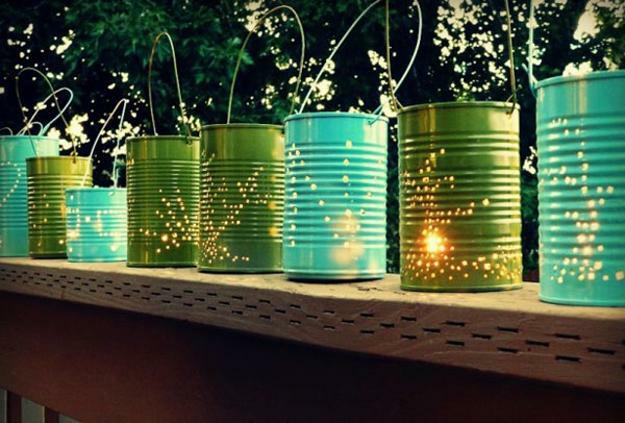 Check out the ideas and start looking for items to recycle. 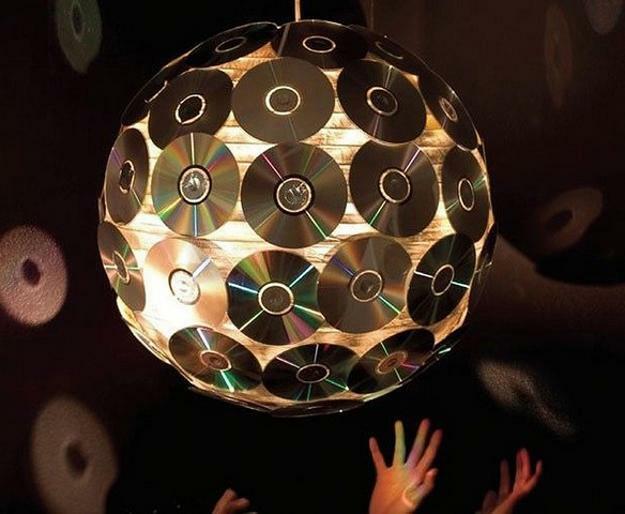 Get creative, make decorations and peculiar lighting fixtures for your home to celebrate your personality.